We re-tested Opens 13.4 on Monday. Six months ago, I completed 40 reps of this 7-minute workout. 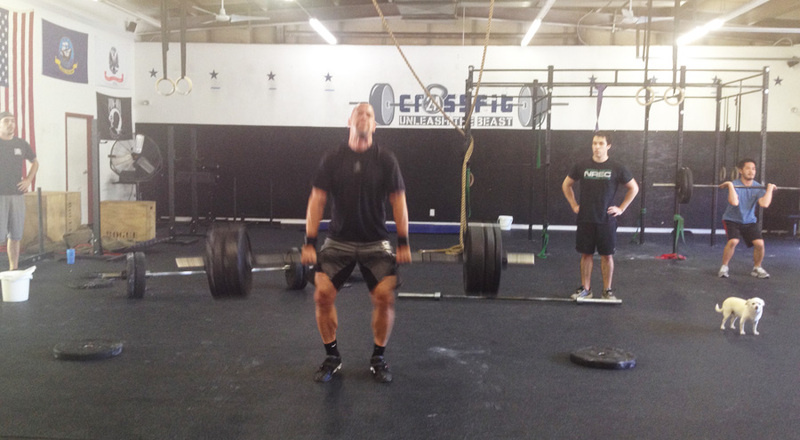 The task was to complete 3 Clean+Jerks @ 135# and 3 Toes to Bar, then 6 C+J/6 T2B, then 12 C+J/12 T2B, etc. Last try, I finished the round of 9 plus 4 more C+J. I expected to get to 44 reps this time (10% improvement would be consistent with my other workouts). However, my C+J is much better and 135# is not terribly challenging any more. I finished the round of 9, plus all 12 C+J - with about 2 seconds left. Total was 48 reps, 20% better than 6 months ago. Today, we went for 1 rep max squat cleans. My previous PR was 195#. Today I got 205# but could not get 210#. Thanks go out to Nicole at 2A and John at Craic for all their help!